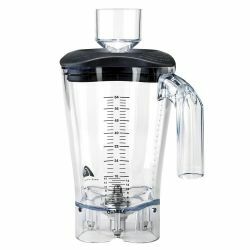 Waring BB155 2 Speed Commercial Bar Blender - 44 oz. From smoothies and soups to salsa and sauces, commercial blenders can make short work of these menu items. For front of the house or back of the house, from countertop to immersion models, you will find the right commercial blending equipment. If you need to blend up the perfect smoothie for your shop or bar, powerful and precise commercial blending equipment is what you need. 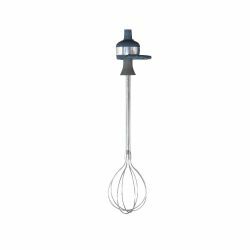 From hot ingredients for soups and sauces to making large batches of your secret salsa recipe, browse the selection of blenders made by the top manufacturers. 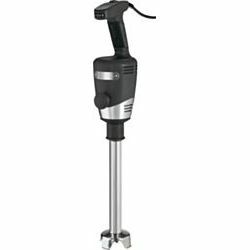 Restaurant Supply has a varied selection of both commercial food blenders and immersion blenders, so you will be able to purchase the right equipment for the job. Available in a number of sizes and capacities, the food blenders will make life easier in the kitchen. The different models of immersion blenders also offer you the best tool for your application. 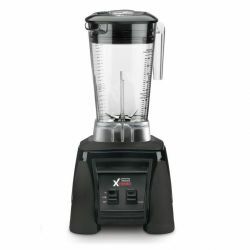 No matter if you need a small bar blender for the front of the house blended cocktails or a large floor model blender for whipping up pizza sauces with the perfect blend of herbs and spices, look to our vast collection of Commercial Blending Equipment, plus helpful parts and accessories.